I have to let you know about a little secret of mine. I'm addicted to something. I have tried to stop but I can't get enough. I have to let it out. 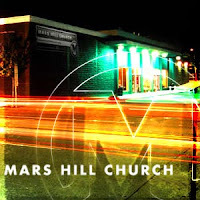 Every week, I watch atleast 1 MARC DRISCOLL (Mars Hill Church - Seattle) video. He has been a mentor for me for the past couple years. Watch him, study him, and grow! He just preached for thier easter services this past week. This would be a great place to start. or go to itunes and dowload thier weekly video podcasts!